Plans to introduce BIK tax on electric cars could hamper future sales, according to a fleet operator association. The move could scupper ambitious Government objectives to make the UK the world leader in electric car adoption as its decision to introduce company car benefit-in-kind tax on those vehicles at 5% in 2015/16, with a further rise due in 2016/17. Zero emission electric vehicles are currently 0% rated for company car benefit-in-kind tax, but fleet-decision-makers’ organisation ACFO’s Electric Vehicle Seminar heard that fleet demand could be hit by HM Treasury’s decision to introduce the charge on models at 5% in 2015/16 and 7% in 2016/17. ACFO has already called for the Government to reconsider the rise in benefit-in-kind tax on electric vehicles in its 2014 Budget Statement on March 19. At an ACFO electric vehicle seminar, director Phil Redman called on fellow fleet decision-makers to talk to their MPs about the benefit-in-kind tax rise as it “will act as a dissuader” to demand. He added: “ACFO has put pressure on the Government and we want fleet managers to do so as well. The tax rises should not be coming in before 2020 to enable electric vehicles to become established. Anna West, head of consumer initiatives at the Government’s Office for Low Emission Vehicles, which is charged with encouraging the adoption of ultra low emission vehicles, said the Government was committed to maintaining a two percentage point differential between the 0-50g/km and 51-75g/km company car benefit-in-kind tax band in 2015/16 and beyond, but that HM Treasury “was unable to maintain” the 0% rate on zero emission models. 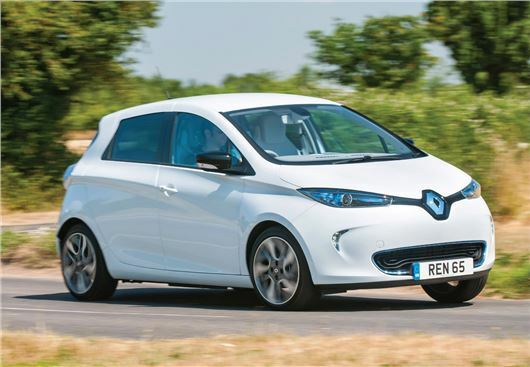 The Government has established a Plug-In Grant scheme to help the corporate sector and consumers acquire electric vehicles - maximum grants of £5,000 on a car and £8,000 on a van are available. The car grant scheme - 20 models are currently eligible - was launched in January 2011 and up to the end of 2013, 6,709 claims had been made. The van grant scheme - seven models are currently eligible - was launched in February last year and in 2013, 404 grant claims were made. The business sector accounts for 47% of all grants.